Mints are native to the Mediterranean and Western Asia but have now been widely cultivated into hundreds of varieties. 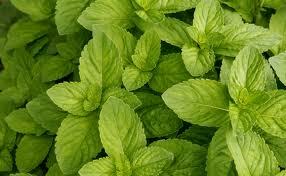 In addition to providing a bright refreshing flavor, mint is also known to help with digestive ailments. 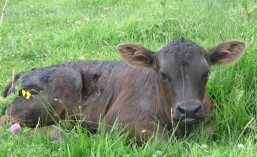 Fresh mint goes well with fruit salads, cucumbers, yogurt dressing, grilled lamb, lentils, fresh peas and pilafs. Mint will also add a refreshing cool flavor to many summertime drinks, such as lemonade, ice tea, mint juleps and mojitos. Native to southern Europe, spearmint can be found growing around the world and has been incorporated into many cuisines. For those who enjoy summer drinks, spearmint goes well with lemonade, mint juleps and mojitos. Spearmint is the variety most widely used in cooking and provides the base for mint jelly. 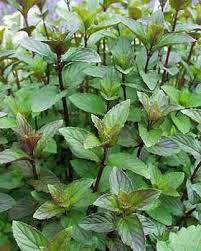 Chocolate mint has dark green to purple leaves with the scent of an after dinner mint. Chocolate mint, as the name implies, tastes of both chocolate and mint, making it perfect for desserts and homemade ice cream. It is great in chocolate desserts, fruit salads, ice creams, and custard-based desserts. Dried chocolate mint makes wonderful tea on a winter day. Mint is best stored in a plastic bag in the refrigerator but if you don’t have a use for it fresh, it can also be dried for later use. Mint tends to bruise easily so it needs to be handled with care. To dry mint, cut back the stems, tie into small bundles and hang upside down in a warm airy room. When completely dry and crisp, strip leaves off stems and store in a glass jar away from light. If using in cooked dishes, add freshly chopped at the last moment, as the flavor diminishes with prolonged heat. For a refreshing addition to summer beverages, mint leaves can be frozen in ice cubes (1-2 leaves per cube). Dried mint makes a wonderful cup of tea in the winter or it can be used to infuse cream based desserts.